Only the boldest will survive! 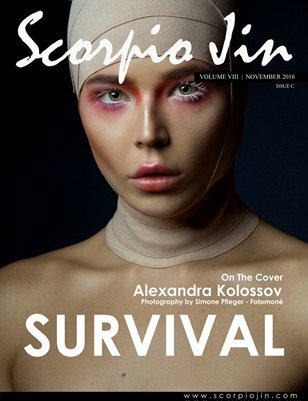 Scorpio Jin Magazine VOLUME EIGHT Issue C, "SURVIVAL" is now available! he Survival issue represents a beautiful world where only the boldest survive. There is no room for cowardice, only those who truly dare to push the boundaries of beauty, fashion, and photography will survive.